YOU own your website, NO leasing it- like a site with our competitors. Our websites work with our system PropertyHUB but also many other 3rd party CRMs. This is great for you because if you choose to change CRM providers then you do not need to purchase a new website. There are no contracts with Agentpoint, just a month by month agreement. Our websites are built from WordPress which is the most popular Content Management System (CMS) in the world. Over 25% of the worlds websites are built through Worpdress. All of our websites are mobile and tablet Responsive meaning they are optimised for the best user experience across these devices. Have we mentioned our great support team? Ticket Support through our Helpdesk. Usual response time between 8am and 8pm Sydney time is 10-20 minutes. All tickets addressed within 48 hours of submission. Email & phone Support. 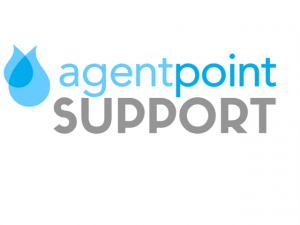 Reach out to our team at helpdesk@agentpoint.com or (02)8005 2707 during business hours. Whatever your queries may be, we are here to help you get the most of your digital solution. We aim to enable our customers through providing you with the skills and knowledge needed to optimise your business in the online space. Posted in News, Our Products, Product Q & A on 21 Sep, 2017 by Ryan O'Grady.